The Tamiya TB Evolution 7 is packed with innovations and has become a popular chassis for some racers. 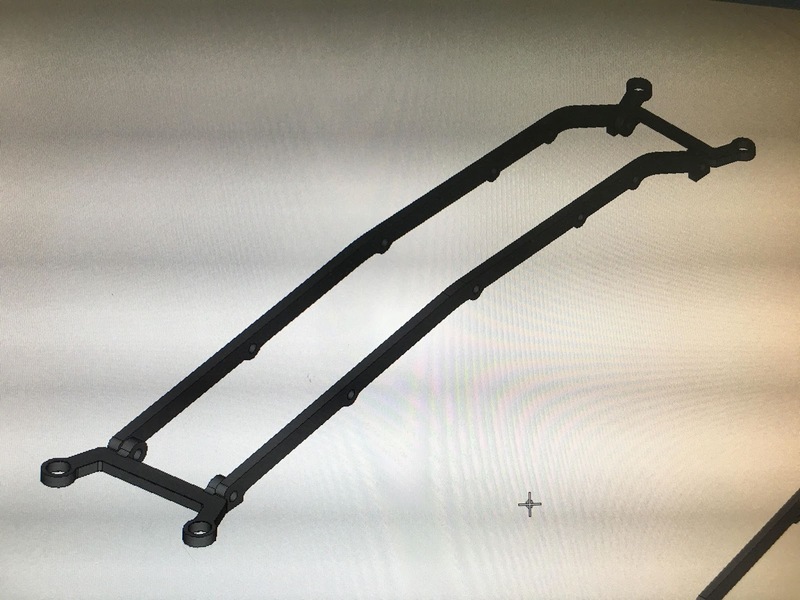 The Alloy chassis works well in some conditions, but there is no alternative carbon chassis available. 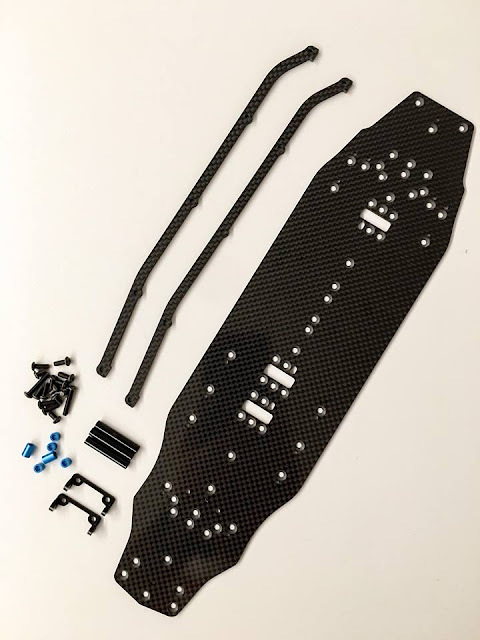 Stephen from RC Lab HK has got in touch to let me know that he has been working on a new carbon deck that will help on low to medium grip surfaces and could also shave a few grams of the weight. Here is what he has to say. "I made the first TB Evo 7 carbon chassis back in Nov 2017. 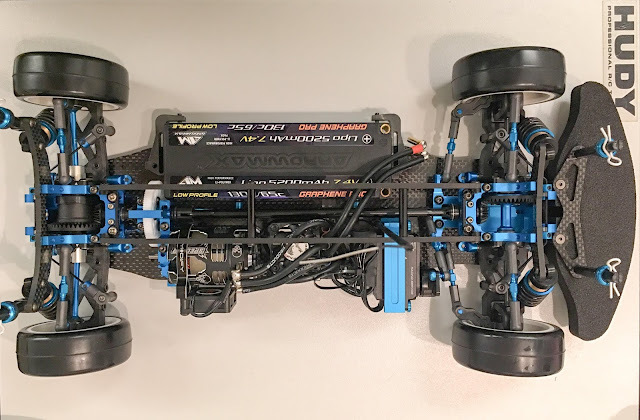 It was good, but I was still not happy with the outright performance of the chassis, 2.2mm seems a bit too soft and inconsistent without an upper deck. So I put the project aside. As I am old style RC car player, carbon fibre chassis is a must for me. I always want something special and unique, so I decide to make a top deck which can use for the three layout. Is a bit late to come out to the market, but at least I made it! " "Here you see what is in the kit. 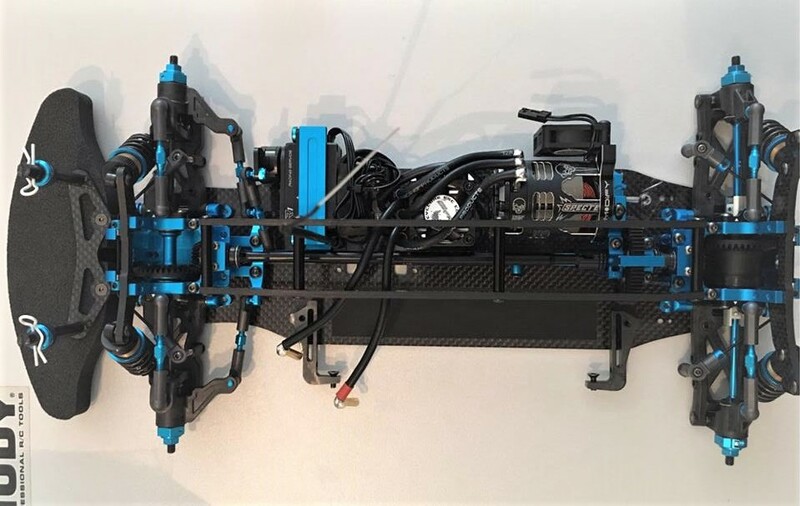 The main chassis is 86mm wide and made from 2.2mm carbon fibre and weighs in at about 75g and that was designed to replace the standard alloy chassis of around 117g of weight. Also part of the package are two 3mm carbon fibre vertical top decks and two black anodised 7075 aluminium mounts. 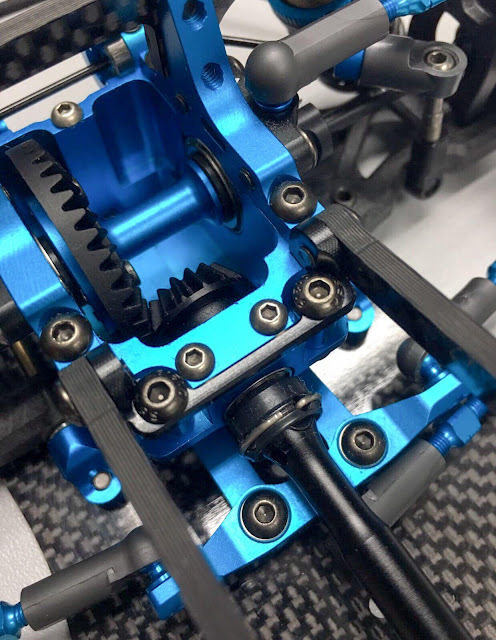 The chassis does away with any sort of tweak issues, it offers three different flex settings and it is usable with all three motor mount configurations. 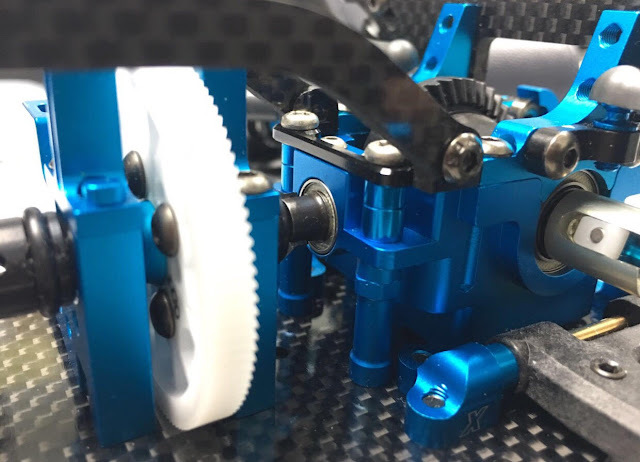 I am packing the parts right now ready for orders, just contact me via the facebook page"
You can order one via RC Lab HK via their facebook page here.